Warner Brothers has announced a new book for their upcoming Godzilla movie in May. 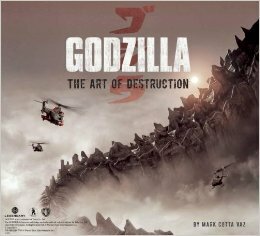 Godzilla: The Art Of Destruction is a behind the scenes book which will be released alongside the film. Here’s the press release: Godzilla, one of the most recognizable characters in history who has become an icon of Japanese cinema since his debut in 1954, will once again take center stage in the new film by acclaimed filmmaker Gareth Edwards (Monsters). Edwards directs from a screenplay by Max Borenstein and story by David Callaham and Max Borenstein, based on the character “Godzilla,” owned and created by » Continue Reading.